A complete digital transformation of your and everyone else’s industry is closer than you think. Start planning your own with these 3 steps. Not so long ago, harried airline customers used to purchase paper tickets — paper! – from an attendant at the counter. Remember that particular joy? The airport experience today is better because it’s largely digital and self-serviced, a trend that’s swept across nearly every industry segment. JetBlue recently even announced the latest steps of its total digital transformation, which includes improvements to its mobile and website experiences. In 2017, the airline began a three-year effort to overhaul its procedures and usher in a new era of customer service, which then led to self-serve kiosks and check-in desks. Before that, JetBlue Technology Ventures had already been established to invest in startups focused on offering real value to travelers — through services covering everything from improving traffic flow at airports to creating better communication around flight delays. While JetBlue and plenty of other businesses understand what a digital transformation is and why achieving one is pivotal to running a modern company effectively, many can’t get a handle on how to make one happen. Only 50 of 1,000 companies surveyed by Riverbed said they’d had no difficulty in navigating digital upgrades. Ninety-five percent had run into problems. In addition, 80 percent of survey respondents reported that their user experience and productivity had taken hits because of multiple failures of digital applications and services, often happening multiple times a month. That’s damaging of course, because digital service failures can diminish a brand’s reputation and customer loyalty, reduce sales and revenue or even delay a project’s release. While digital transformations might seem more suited to large industries or corporations, when the goal is to tap into enterprise or B2B needs, the process also can apply to consumer interactions, which can produce effects that go beyond padding a client’s bottom line. Look at what’s happened in banking. At the beginning of the mobile revolution, banking software on all devices left much to be desired. Accessing records was difficult, and users had no ability to search transactions. Most of the time, banks served customers spreadsheets or PDF versions of the same documents they got in the mail. 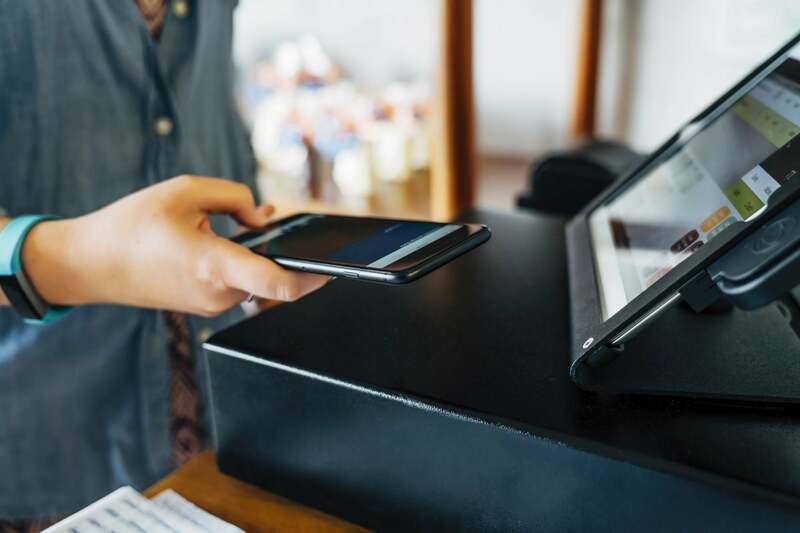 But banking software has turned a corner, with examples such as Capital One’s integration of the Alexa assistant into a customer helper and with the widening use of Touch ID and Face ID to give users quick access to their accounts. Everything about the interactive banking experience, in fact, has gotten better due to digital transformation. Related: Does Your Business Need a Digital Transformation? The addition of Alexa at Capital One enables customers to use voice commands to track recent transactions, balance their virtual checkbooks and pay bills. This improvement has addressed two primary needs: a customer’s ability to perform a task without having to drop what he or she is doing, and the customer’s ability to check his or her basic financial wellness. En route, the development team that gave Alexa her banking skills needed to strike a delicate balance of security and convenience so that customers wouldn’t grow frustrated, ditch the virtual assistant and return to using the mobile app. What startups and SMBs should be doing. 1. Focus on accurately identifying the problem before trying to solve it. Don’t waste time by trying to solve a problem before performing actual research that identifies its cause. Take Hasbro, for instance: By leveraging available data, the toy company ran targeted ads on social media for products such as Play-Doh and Monopoly, pivoting from kids to the actual purchasers: their parents. Expanding its reach along the way by using multiple marketing channels, Hasbro also began to employ an ad-tech platform that drives sales by advertising impulse buys when customers are ready to make purchases on retailer sites. These tactics — which require an eye-popping 1,100 percent increase in advertising spending — grew sales by $1 billion, with Hasbro in 2016 reaching a $5 billion total for the first time in its 93-year history. Develop “user stories.” For example: “As a user, I want to be signed out from my account when I’m idle for 10 minutes.” Put the stories in front of potential users and see whether they find them useful. Imagine working at a construction site or a manufacturing plant where the company keeps track of safety reports in massive binders that supervisors need to fill out by hand, literally with carbon-copy replicas stacked among the pages. How much effort is wasted in creating such paper records and shuffling them between shift managers? How accessible is the data if someone has to read through hundreds of pages to find specific incidents or details? Alternately, user stories could help identify where to focus your efforts. Bechtel Corp., one of the world’s largest construction companies (and one of our clients), now utilizes industry-leading software that far surpasses what its competitors can do. This software makes a substantial impact on Bechtel’s project (and profit) margins, which approach nearly $100 million per project in estimated savings when deployed. 3. Make changes when a proposed solution isn’t working. SMBs and startups should always be in fail-fast mode. If an approach isn’t working, a company shouldn’t be afraid to make swift changes. Customer input here is critical: Accordingly, brands like Walgreens, Target and Domino’s are giving customers first-person views of their digital transformation by finding ways to improve their in-store experiences and creating better end products. Walgreens customers can choose to pay via their mobile phones, and Target shoppers can use their phones to access an app — which Target has been streamlining and upgrading – to identify deals. Whether you bring an innovation agency in to your own company or assign an internal team to tackle problems, you’ll need to start creating prototyping and testing environments to see whether you’re going down the right road. Test early and often, and make changes when a proposed solution isn’t doing the job. Digital transformation is about solving problems in ways that encourage users to interact. While challenging, what transformation comes down to is a set of vital changes that will impact a company and its customers — internal or external — for generations to come.